Amazon just released a slew of new Echo products. The new expanded product line-up adds variety to their offering. The new products include: a reduction in size to the standard Echo, the introduction of the Echo Spot, an alarm clock shaped device with a display. They've also released an accessory that allows you to connect your landline to your Echo ecosystem to make and receive calls through voice interaction. 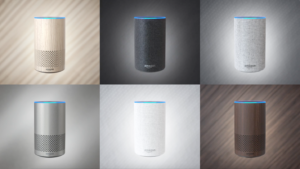 With a great new product line-up we thought it would be a good time to share some tips and tricks we've found during our Alexa development projects. These 6 tips might seem fairly straightforward, but they are always good to remember. Only add intents that are fully developed and deployable to a new version of your skill, or it will be declined. Adding intents that are not fully implemented will be tested by Amazon even if it has no utterances. Use version control well, and you will be in great shape! If you do make changes to one part of a skill, make sure that you reflect those changes throughout. This can be an easy mistake to make when changing an invocation name late in the game. These are only some of the tricks we've learned while helping our customers develop Alexa skills. If you need help building an Alexa skill you can go to our Alexa development page to find out more!